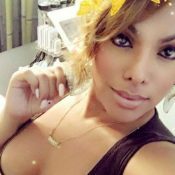 Thanks to Philip from Virginia for writing it to share Ailynts (Ailyn TS) from Chaturbate as our next nominee in the category of, ‘Top TS Live Webcam Model‘. You can follow her on Twitter @ailyn_osorio or you can go visit her live show here….but please vote across all the categories before you do. And again… Remember, Facebook comments on nomination pages (like this one) also count as 1 vote each for that entertainer! Also you can nominate other cam models here.